Understanding your customer and growing your company requires accurate data. Availability and ease of use of Looker data sources and connectors can help you tap on any touch point with your customers. Blendo fills your data warehouse with analytics-ready data, consistently, for frictionless data access from Looker. Fuse sales, marketing or support data in your data warehouse in minutes. Blendo intelligently syncs and identifies changes so you will always have the most current information. Blendo delivers analytics-ready tables into your data warehouse, created and optimized for analysis with Looker. Get back the time from transforming and structuring tables to tapping into business insights. Thanks to Blendo and their integrations with all our main systems we can have everything very easily in our BI which is automatically updating every night so there is no need to update anything manually. Pull data from 40+ native cloud data sources with one-click connectors into your data warehouse. Get consistent, analytics-ready data in minutes and use Looker to tap into your data. 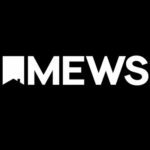 Mews Scores Big With Easy Access To Data & Reduced Reporting Time. How Gogoprint achieved sales and marketing success using Blendo, CRM and Marketing Data. Fuse sales, marketing or support data in your data warehouse, analyze with your BI. Continuously be informed about the status of your data sync. Auto-healing connectors take care of everything for you. Getting started takes less that 3 minutes.